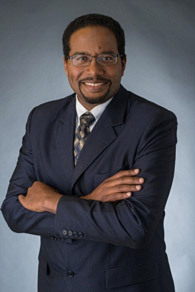 In an op-ed that was published on April 18, 2013 in the Baltimore Sun, Dean of the University of Maryland's Clark School of Engineering and Farvardin Professor of Aerospace Engineering Dr. Darryll Pines points out the impact that competitions and prizes can have on innovation, entrepreneurship, and economic development. "Many ideas have emerged from government, industry and academia regarding how best to inspire and support innovation," he writes in the piece. "But nothing spurs creativity and innovation more than a combination of incentive and challenge: a reward for achievement, combined with the urgency of a dare to succeed and the reality that we must race against others. We are at our best when we compete." He goes on to point out that "the aerospace industry presents a compelling case study of the considerable impact that prizes and competitions can have" in promoting innovation and economic development, especially in fields like unmanned aerial systems and commercial space travel. For instance, following the Ansari X Prize, "a number of commercial space companies emerged to support the demand for launch services, satellite development, space science and education, and space tourism." Dr. Pines also points out the positive impact that the American Helicopter Society Sikorsky Prize has had in fueling the University of Maryland Gamera human-powered helicopter student team's drive to innovate and succeed. He concludes in the piece that "if our goal is to truly inspire and support innovation, we should work together to create more high-value prizes in areas where this work is needed most urgently."